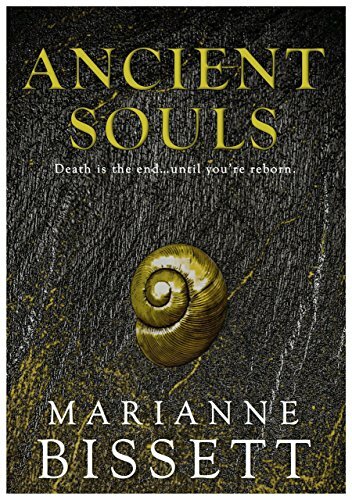 Ancient Souls by Marianne Bissett is a walk through history without changing or altering events that have happened. Cora Tate is a nurse from the United States that has found herself on the shores of Normandy days after the invasion during World War II. She is one of the few that can handle the death around her. But at the worst times she is starting to see things that look like a distant memory, but one she doesn’t have any idea about. When attempting to find more medication, Cora sees an officer from afar that makes her heart beat faster and she has a hard time taking her eyes off of him. When she returns to her unit she prepares for more surgeries, her next a brutal head wound of a German soldier. When that soldier grabs her an attempts to kill her, Cora’s instincts take over and she kills a man that her superiors wants to question. She is held until she is taken to a remote camp ran by the man she had seen. Captain Alastair Scott knows Cora, along with every man and woman in his group. They are all guises, having lived multiple lives as friends and colleagues. They had been waiting on Cora, though she was only slowly getting images, images that she learned were her past lives. As she slowly starts to remember she starts to realize things about herself she doesn’t want to know. While I am not always willing to read historical novels (I studied history in college), this book did not try to change anything or create an alternative to what exists. Instead it showed why things that are totally random happened and who orchestrated it. I really enjoyed the writing style and how the characters interacted. Cora while unsure of herself as a guise but very sure of herself as a nurse and a person willing to reach out and help others. Marianne Bissett does a good job of showing how people can be both good and bad. I don’t know if she plans another book in the series but I know that I plan to check it out. Check out Ancient Souls here.